PolyTune 2 BlackLight, Tuner/Pitch Pipe/Tuning Fork from TC Electronic in the Polytune series. 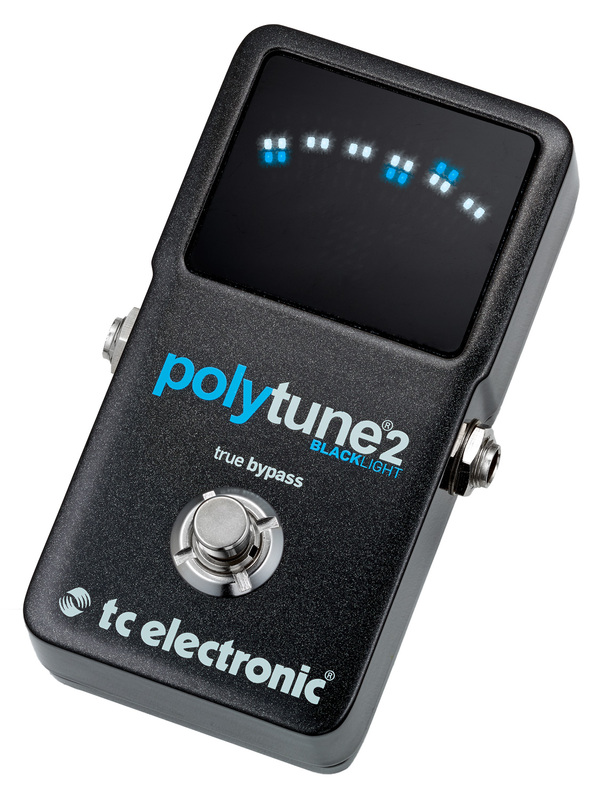 The new PolyTune 2 BlackLight polyphonic tuner with black finish that TC Electronic unveils today will be available in a few weeks. The new TC Electronic PolyTune 2 BlackLight features a new black finish with a large white and blue LED display. This display is equipped with an ambient light sensor so that you can see the tuning perfectly in any lighting situation. 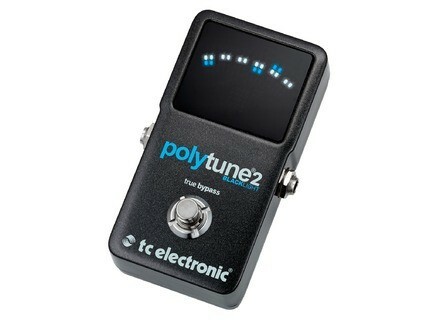 The PolyTune 2 BlackLight retains the features from the previous models, including the strobe and polyphonic options, bass, Drop D and capo modes as well as up to 5 semitones for the Flat Tuning. The PolyTune 2 Blacklight will be available in Europe in a few days and in the US in July, for the suggested price of 89 € / $99.99. More info at www.tcelectronic.com. The Tech21 Boost Comp pedal is coming Tech21 started to distribute its new Boost Comp analog compressor and booster for guitar and bass. New Keeley 1962 distortion pedal Robert Keeley has launched a new distortion pedal that reproduces the layered effect of Marshall amps. DryBell offers B-Stock V-1 pedals DryBell, the manufacturer of the Vibe Machine V-1 effect pedals, offers some of their models discounted as part as their B-Stock.